Instant Pot Immune Booster Tea Will Help Ease Your Cold! Instant Pot Immune Booster Tea is just the thing that you need to make and drink if you’ve come down with a cold or are starting to feel a little icky. It’s also a really fabulous detox tea! I’ve worked in the pits of the restaurant industry for over 20 years, and had the pleasure with working with a German pastry chef. In the restaurant industry, you can’t afford to be sick. Once one person gets sick, everyone else is sure to follow. PLUS you have to worry about if your manager is going to let you go home or not. Whether or not you’re sick, doesn’t matter. The restaurant needs those warm bodies on the floor, and unless you are literally dying on the floor curled up in a fetal position, they were not sending you home. Honestly, I can’t remember the pastry chef’s name because it’s just been too long. However, if one of my friends remember her name, then I will update the post. Anyways, she used to make this great big pot of what we called her “Witches Brew.” During the cold and flu season, she always had one steeping everyday on the stove for us. We literally drank this stuff by the gallon! Does it taste amazing? Not really, but you get used the ginger citrus flavor. Also, the honey used to sweeten it helps to bite through it and makes it somewhat bearable. But I’m telling you, this stuff is like a miracle in a cup when it comes to stomping out cold and flu symptoms! Of course, I’m not a medical professional at all, so please make sure you see a doctor if your symptoms get worse. I’m not here to give medical advice, but I’m here to tell you that I LOVE homeopathic remedies that actually work. Instant Pot Immune Booster Tea Totally Works! Here’s Why. The biggest ingredient to the instant pot immune booster tea is Ginger. Ginger is both antibacterial and anti-inflammatory. So it helps to reduce your all those icky germs inside of your body. Click Save This to save on Pinterest! Then there’s all amazing vitamin C coming from the Lemons and Oranges. The parsley in it is fabulous for your body! Parsley is an antibacterial, antifungal, and is a high source of antioxidants. Your body deserves all of these great properties coming from the instant pot immune booster tea! THESE are the reasons why that witches brew of hers is so amazing to drink while you’re sick. When it comes to the season where everyone is catching a cold, my Instant Pot Immune Booster Tea is just what you need to help battle it! 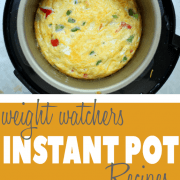 Add all of the ingredients to your Instant Pot, except the hone. Don't put the honey in yet. Fill your IP Liner with water up to the 1/2 mark. Place your IP liner inside the pot, and close the lid. Close the vent. Place on High Manual Pressure for 15 minutes and let it NPR. Release the remaining steam and remove the lid. Add in the honey and stir until it is dissolved. Ladle out your servings in a cup and enjoy! This is great chilled as well. Do you strain it immediately? Why celery? Does it have a use or help? I can’t stand the taste of celery. How long does it last? I would probably be the only one drinking it and would put it into jars and let them seal before putting in the refrigerator. It will last for a couple of months in sealed jars in the fridge! Yes, you can totally use fresh ground ginger! I would do about 2 – 2 1/2 tablespoons. Seems like a tiny amount of ginger, only a half an inch? Is that correct? Yes…it’s still very pungent for the amount of liquid. However, you can always add a little extra ginger if you would like to. Thank you for sharing this recipe. It is the first thing I made in my instant pot, and I am on my second batch! I am determined to kick this cold. I am allergic to Honey and all bee products. Can I use coconut sugar? I don’t see why you wouldn’t be able to use coconut sugar. The honey is added in there for a hint of sweetness, but for the healing properties of the honey. So, you don’t have to add the coconut sugar in while making it. You can simply add any in for a hint of sweetness.